Spider is a symbol for Halloween, just like the couple construct their love in the spiderweb. 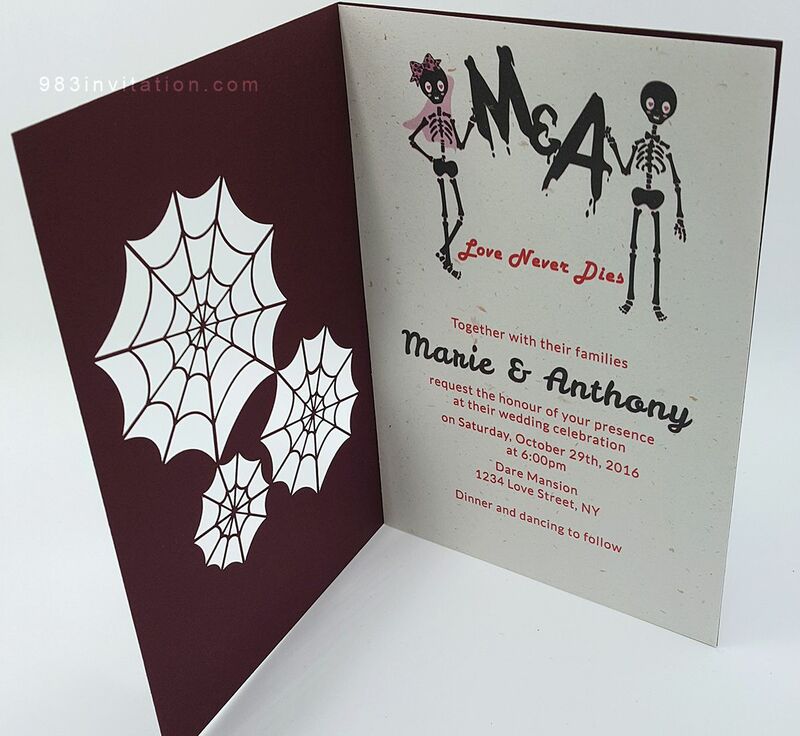 This is a symbolic and beautiful Halloween wedding invitation. In this design, we do not try to add something very scary. Instead, we attempt to create the mood and atmosphere by using a symbol of Halloween, the spiderweb. 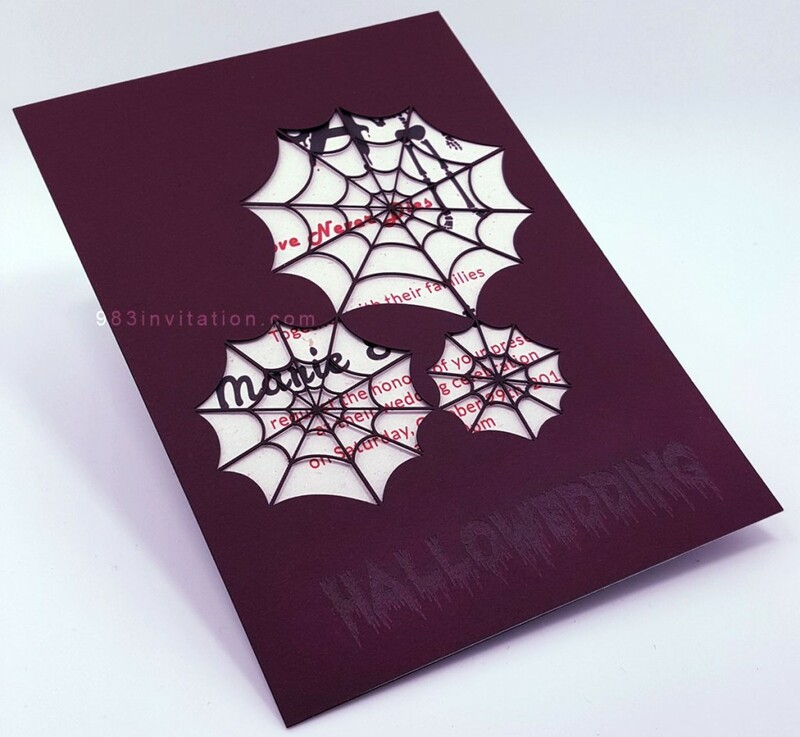 The technique of laser cutting to create 3 spiderwebs on the cover of the invitation. This would help to create the atmosphere and tell your guests that it is going to be a Halloween wedding. Besides the web, the word “HALLOWEEN” is put on the cover by using laser engraving. The insert of this invitation is cute. A skeleton couple (not something scary) is printed on the insert. They are holding a heart in their hand together so as to signify the love of the couple. Initials of couple are also put next to the heart. Fonts used are also cute. To create a sense of romance, we do not use traditional orange color to design the invitation. Instead, royal purple color is used to create the cover of the card. So, the design of it is romantic and at the same time remind you and your guests the idea of having a wedding in October.